When twenty-three-year-old Emily Cavenaugh’s marriage to her abusive high school sweetheart ends, she trades in her dull smalltown life for an all-access pass to see the world as a flight attendant. Hoping for a new start, she moves to San Francisco to bunk with six other new flight attendants. Among them is KC Valentine, a free spirit who encourages Emily to shed her mousy ways and start collecting experiences as exciting as her passport stamps. Emily soon follows KC’s advice a little too well, falling in love with an older, married co-worker named Tien, a father to two young girls. But as Emily and Tien become more deeply entangled, KC grows distraught. Neither her friends nor co-workers know the real reason she became a flight attendant: to find her father who abandoned her as a child. As Emily and KC fly from Vegas to Boston, San Francisco to London, Chicago to Delhi, each searching for love and acceptance, they’re torn between passion and moral conviction, freedom and belonging. 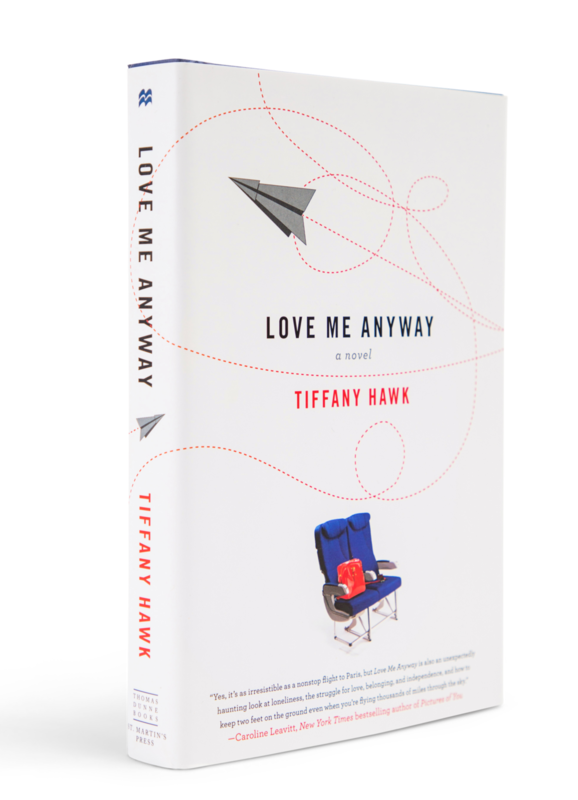 An assured debut from a former flight attendant, Love Me Anyway deftly captures the complexities of love, friendship, and family, the excitement and loneliness that come from living everywhere and nowhere, and the surprising detours life can take when you set out to discover the world. Thanks to the amazing animator Jerrold Ridenour, what started off as a trailer turned into a brilliant short film and stand-alone portrait of the flight attendant life. We were thrilled to be part of the DC Shorts Film Festival and hope you enjoy this deep look behind-the-scenes at 30,000 feet. As the working crew crams bags into overhead bins, I’m nestling into an extra-wide, first-class leather seat. I may only make twenty grand a year, but, space permitting, I can travel in style to anywhere United flies. Tonight I’m trying to get back to my base at SFO before I go on call at midnight. I close my eyes and try to block out the fluorescent lights and the angry passengers who are shuffling down the aisle and grumbling about delays and a possible cancellation. If we don’t make it to SFO tonight, no one will be more screwed than me. As a new flight attendant, one slip up will get you fired. We live in constant fear of termination, but it’s not about the money. If you’re the kind of person who can relocate anywhere they tell you to, then spend twenty nights a month in twenty different hotels, you’re not just earning a paycheck, you’re running away. A pilot steps into my row, stooping so he doesn’t hit his head on the overhead bins. He holds his hat in one hand and loosens his blue and gold United tie with the other. His light brown hair is brushed forward, perhaps attempting to hide the inch or two of slippage that is just starting to shine through. I’d guess he’s about ten years older than I am, somewhere in his early thirties. He looks down at me and smiles. I sit up a little straighter. He introduces himself as Rick and lets his hand linger as he shakes mine. How many pilots does it take to screw in a light bulb? He holds it up in the air and the world revolves around him. “Emily what?” asks pilot Rick. I hesitate and then reluctantly say, “Cavenaugh.” The name has been attached to me for two years, but I’d like to step under a power washer and blast it off.